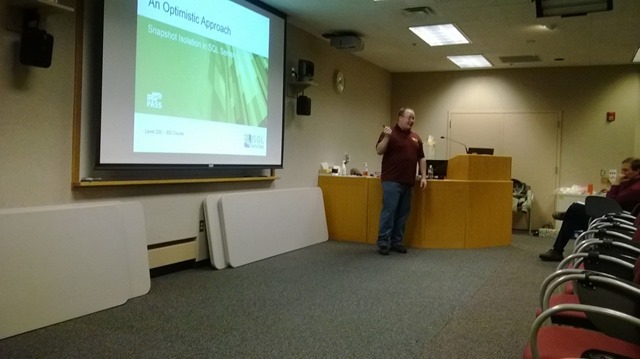 It started as a vision for expanding the reach of the Minnesota SQL Server User Group a year ago. At the time, Paul Timmerman ( T | B ) and I were discussing the fact that only one user group existed in Minnesota. As we looked at other areas and talked with SQL pros from St. Cloud and Rochester, a dream was born — what if PASSMN, a large and very mature user group, helped kick off meetings in other areas? Throughout the past year, Paul has been working with Patrick out of Rochester to make this a reality. Tonight was our first meeting in Rochester. We had an awesome turn out with over twenty people attending. Everyone is already looking forward to the next meeting. To begin with, the Rochester group will be supported by PASSMN as an extension group. The meetings are planned to be quarterly and we will be working with local and regional speakers to participate. Our hope is that the group will grow and can become a stand alone chapter. However, the goal of PASS is community and training. Whether independent or as extension group, the goal is to meet these needs within the SQL Server development community where ever we can. 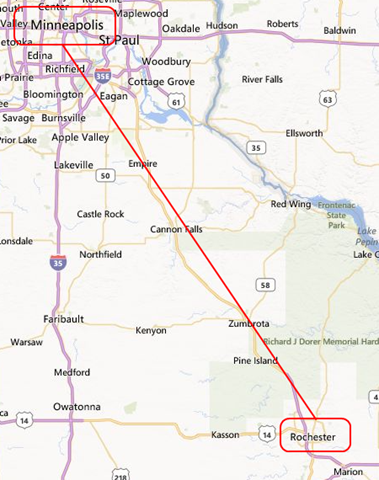 For more information about PASS MN and PASS MN – Rochester meetings, check out http://minnesota.sqlpass.org/. I just wanted to plug two events that are free SQL Server training. First, Thomas LaRock (@sqlrockstar) and Jason Strate (@stratesql) are teaming up to bring you “Choose Your Own Adventure – Performance Tuning”. Join us at the Microsoft Technology Center in Edina, MN or online for this great adventure. This adventure starts at 3:00 PM CDT. More details can be found at http://minnesota.sqlpass.org. Is that all?, you ask. No. Starting tonight at 0:00 GMT (7:00 PM CDT) is 24 Hours of PASS. Check out the awesome roster of speakers including the likes of Denny Lee from SQLCAT, Marco Russo, and Dejan Sarka. These sessions run through the night and will be close captioned in 15 languages, making it a truly international event. Oh, did I also mention, I will be speaking at this as well. Take advantage of these free training opportunities by leaders within the SQL Community. We all look forward to seeing you at both or either of these events. Tom LaRock (@SQLRockStar) is a SQL Server MVP and he is currently a Senior Database Administor for Confio Software. Check out his blog at http://thomaslarock.com for more information about him and his community contributions. Ted Kummert is the corporate vice president of the Business Platform Division at Microsoft which includes SQL Server and SQL Azure. 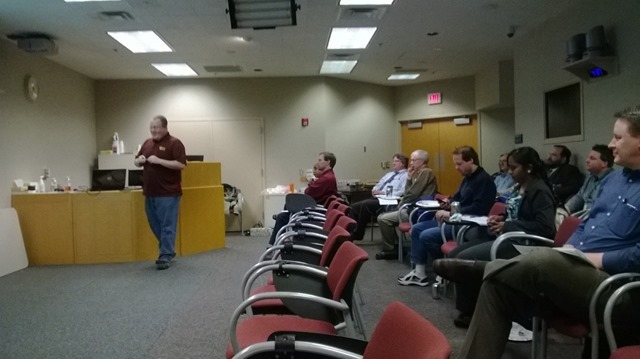 It is a privilege to have Ted available to speak at our user group and share more about SQL Server. He was one of the keynote speakers at the PASS Summit in 2011 as well. Mark Souza joins us this night as well. Mark is the General Manager for SQL Server at Microsoft. He is responsible for customer and partner interaction for many products including SQL Server. Itzik Ben-Gan is a Mentor and Co-Founder of SolidQ and has been a SQL Server MVP since 1999. He is the foremost author and speaker on T-SQL related topics. He is a regular presenter at PASS events including an annual favorite at the PASS Summit. Check out Itzik’s website to learn more about him: http://www.sql.co.il/index.htm. Lara Rubbelke (@SQLGal) is one of our own. It wasn’t that long ago that she was helping form this very user group. Now she regularly presents on Big Data for Microsoft including during one of the key notes an the 2011 PASS Summit. Read more from Lara at her blog: http://sqlblog.com/blogs/lara_rubbelke/default.aspx. Jes Borland (@grrl_geek) joins us from our neighbor state of Wisconsin. She is an active member of the Wisconsin SQL Server User Group and MADPASS. She has presented at the 24 hours of PASS and the PASS Summit. Check out her blog: http://blogs.lessthandot.com/index.php?disp=authdir&author=420. Kalen Delaney may join us in July as she will be teaching a class at Benchmark Learning during that time. Kalen is the author of Inside SQL Server and one of the original founders of PASS. She has been a SQL Server MVP since 1993. You can find out more about Kalen and her upcoming classes at http://sqlserverinternals.com/. Besides the individuals above, we are also looking forward to hearing from our user community in our monthly, local presenter time slot. If you are looking for an opportunity to share a new tip or something you have learned about SQL Server – development or administration – please let our program director know. We want our user group to actively involve users from our own community. We also would love to grow our speaker ranks from within the community. We all started our speaking somewhere, let PASSMN be the place to help you learn to present or practice presenting. If you are interested in presenting at our user group or sponsoring our user group, drop us a line at support@mnssug.org.